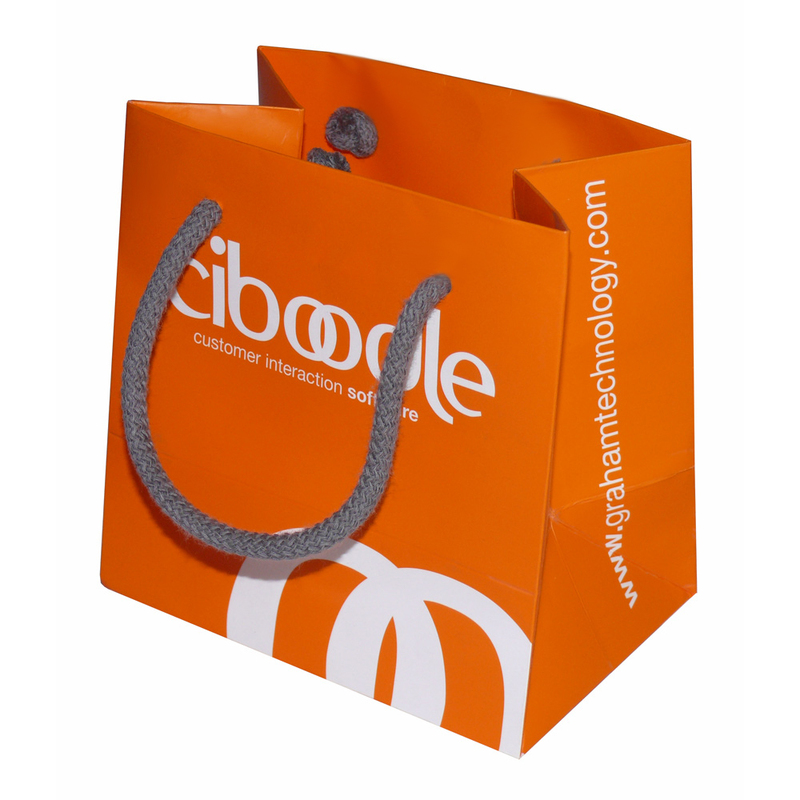 Some of the quickest bags we can supply are the luxury rope handled paper bags. These are a semi hand made product and are perfect for portraying a quality image to your clients. The bags are fully customizable to a high degree. Full colour printing is available, even on short runs. The minimum we can supply is 250 bags. You can have them with various types of handle, metal eyelets, embossing, foil stamping, to mention some of the possibilities. All of our rope handled paper bags are supplied with top and base card reinforcements and either a gloss or matt lamination. The carrier bag shown in this image is of the following specification. Please note, you can change the size to your own requirements. We will also always advise a nearest size previously produced which will help reduce your costs. We arrange the production of a multitude of express via courier paper carrier bags. Our office team are happy to help shops buy bespoke express via courier paper carrier bags. To obtain choose by material or different styles of , contact our staff via our contact page.